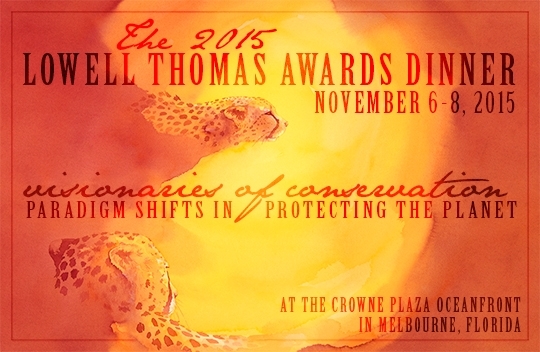 Visionaries of Conservation – Paradigm Shifts in Protecting the Planet is the theme of The Explorers Club 2015 Lowell Thomas Awards Dinner. If you look closely, you may recognize the image featured below – yes it is my acrylic painting, Sun Spots! I am delighted that my art has been chosen to represent this important event in the celebration of conservation! This entry was posted in African People, African Wildlife, Blog Posts, Conservation and tagged Explorers Club on July 31, 2015 by Alison.